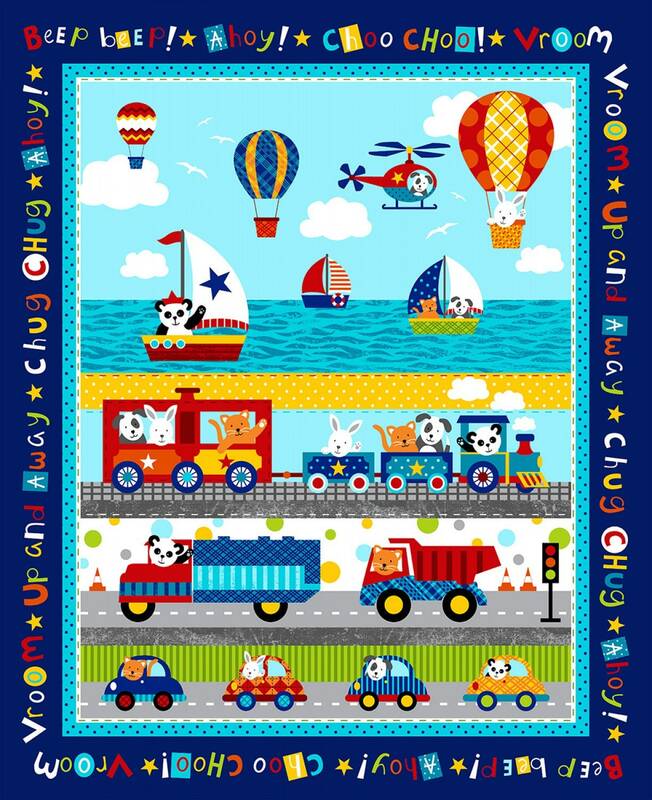 Off We Go Children's Cotton Cloth Panel is full of bright primary colors measuring 36 x 44 inches. Fun dump trucks, Sail boats, Cars and Trains. Bright shades of blue, yellow, orange, red, gray and blue. 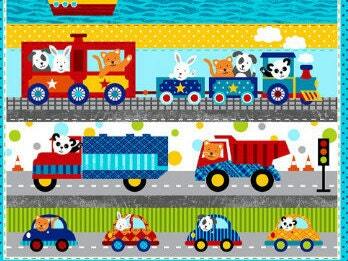 A wonderful quilt panel to welcome a new little boy in your life. 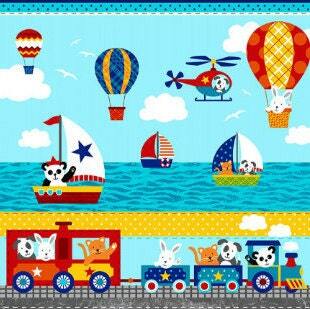 All fabric from The Quilted Nursery Children's Fabric Store is cut directly from the bolt in continuous yardage. We now offer fractional yardage cuts for your shopping convenience. Same day shipping except for Sunday and holidays. Shipping overages are refunded upon shipment of fabric! Very nice fabric, I love it so much. Very fast shipping.